The 1892 building, once a creamery, is now home to both a working brewery and a large pub that serves the company’s beers along with a hearty menu designed to incorporate and complement those brews. The location is just under half a mile from the Dorsey / Apache light rail station. If the distance seems a little far, especially in the summer, keep in mind that the walk or bike ride from the station is a pleasant one through the University Heights neighborhood. 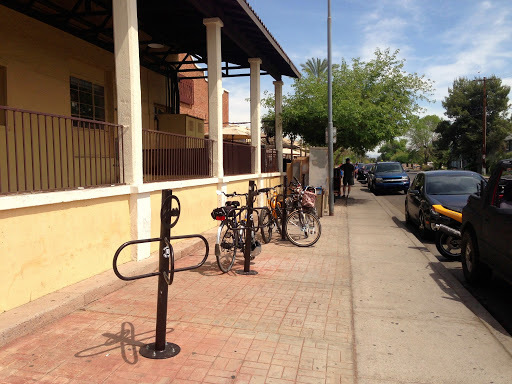 Those who pedal along 8th Street are rewarded with multiple racks that can accommodate at least 16 bicycles next to the patio. That patio is huge and popular. Like the building’s interior, it’s cooled by massive fans on hot days. Inside there’s a large bar and two dining rooms, one of which has an impressive view of the production area of the building. At slow times, seat yourself. During peak hours, expect to be shown to a table and don’t be intimidated by the guard at the host station. His or her function seems mostly to prevent underage drinking. 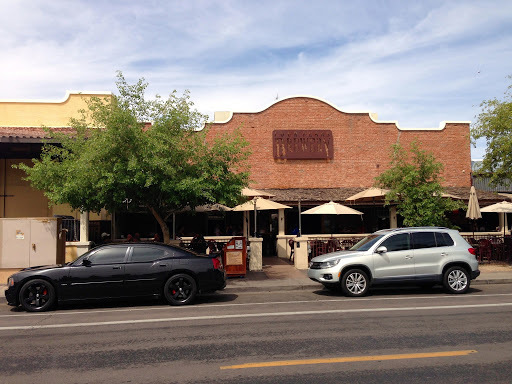 Minors accompanied by their parents are welcome, and Four Peaks even has a children’s menu offering smaller portions of menu favorites. 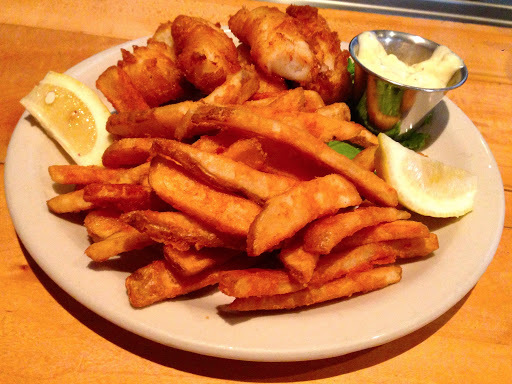 While the kids enjoy their beer-battered fish-and-chips or chicken strips (alcohol burned off during frying), the adults can enjoy the brewery’s output. Most customers probably already know Four Peaks by its flagship Kilt Lifter, a Scottish-style ale that has become an unlikely favorite in a hot climate. 8th Street ale is actually a more straightforward brew for the drinker accustomed to mass-production beers. There’s also a hefeweizen, two India pale ales, a Kolsch-style ale, an oatmeal stout, and a peach beer among the beverages in regular rotation. Beyond the usual line-up, Four Peaks brews a variety of seasonal beers. 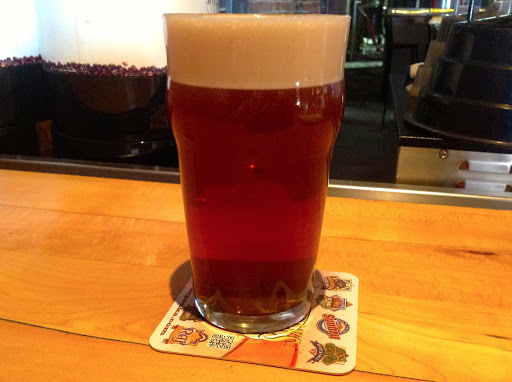 In cooler weather, try a pint of Pumpkin Porter or Winter Wobbler. As temperatures climb into triple digits, there are warm weather alternatives such as Summer Session and Orange Blossom Ale. The cask-conditioned ales are another avenue for beer exploration. These brews are a throwback to traditional methods with natural carbonation producing less fizziness. They’re also served closer to room temperature. And, yes, if you really don’t like beer, wine is available. No matter what you drink, it would be difficult to walk away from Four Peaks hungry due to the extensive food offerings, most them quite hearty and all of them generously portioned. Starters include bar favorites like soft pretzels, chicken wings, and fried calamari. 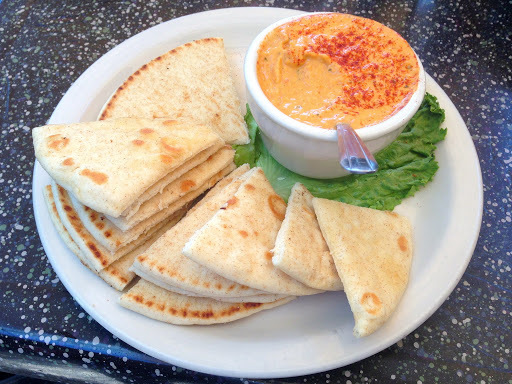 For a slightly lighter taste, the Thai hummus a takes the traditional puree of chickpeas and adds peanut flavor and chile heat. Edamame are simple and straightforward, augmented only with sea salt. 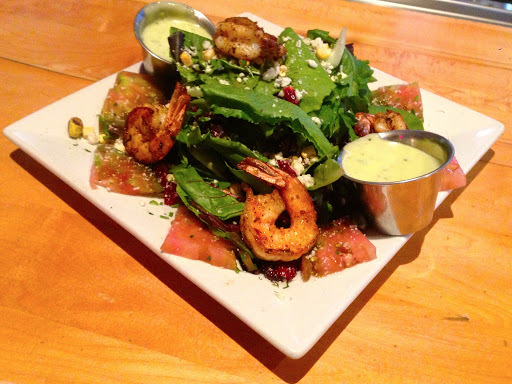 Standards like chef and caesar salads are available with daily specials such as a greens topped with grilled shrimp. Among the entrees, there are half a dozen burgers. The classic Four Peaks cheeseburger features a moist patty in a yielding bun topped with a choice of cheese and not a lot else to create a distraction. Ten different sandwiches feature fillings such as chicken breast, roast beef, sliced turkey, and portobello mushrooms. The salmon BLT is a perennial favorite, and there are daily specials such as blackened ono wrapped in Four Peaks beer bread, essentially a variant of the house pizza dough with a texture somewhere near the intersection of pita, tortilla, and lavash. That dough also shows up just where it would be expected: in a section of the menu devoted to pizza. The pies emerge in both a 12-inch version, good for two to share, and a 16-inch version, better for three or more or big appetites. The pizzas have a slight char and brittleness on the bottoms and edges but yield to a chewier interior crust. 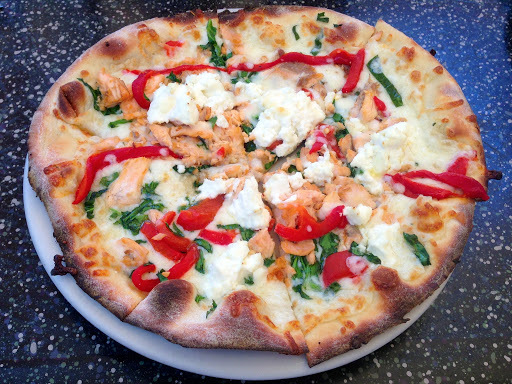 Toppings come in familiar configurations such as margherita and BBQ chicken with occasional specials such as salmon. 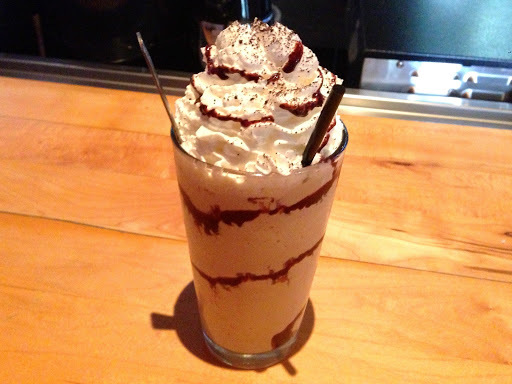 There’s also the option to build one’s own custom combination of toppings. While most of the menu follows a “pub grub” theme, there are some welcome nods to the Southwest. Carne adovada, roasted pork in red chili, is a full plate of New Mexican flavor. 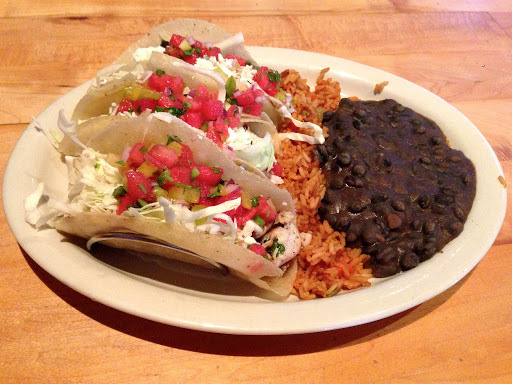 The chicken enchiladas come three to a platter, covered in green chili and paired with rice and black beans. A daily special of fish tacos takes a similar approach with three soft corn tortillas containing blackened ono, shredded cabbage, and mild pico de gallo. All of these benefit from a few drops of the Arizona Gunslinger hot sauce included among the condiments at each table.